Unloading at Sault Ste. Marie, Ont. in 1999. Built in 1973/74 by Port Weller Dry Docks, St. Catharines, ON, this lake-ocean chemical tanker was launched as the Imperial St. Clair for Imperial Oil Ltd., Toronto, ON. She is powered by a 6,500 horsepower MAN 5-cylinder diesel engine giving her a service speed of 14.75 knots. Her 20 tanks can carry a maximum of 105,645 barrels of petroleum products (or the equivalent of 12,708 tons) at her maximum mid-summer draft of 26 feet. This vessel is equipped with a bow thruster and special shock absorbing fenders consisting of low pressure tires built into the hull to minimize hull damage due to bumps and scrapes in the locks. Her hull is strengthened to Ice Class 1 allowing for winter navigation along the St. Lawrence River, the Atlantic seaboard, and summer Arctic voyages. The Imperial St. Clair was selected to participate in a three year winter navigation experiment commencing in December 1976. She was the first tanker to achieve year-round operations on the Great Lakes thus breaking the winter navigation barrier. Winter navigation took its toll on the vessel requiring a visit to Port Weller Dry Docks in July of 1980 for repair work. While there, a satellite communications system (Marisat) was installed making her the first Canadian commercial ship to be equipped with such a system. In 1997, Algoma Tankers Ltd. (a division of Algoma Central Corp., Sault Ste, Marie, ON) acquired the Imperial St. Clair renaming her the Algosar. Algoma Tankers kept the Algosar active carrying petroleum products throughout the Great Lakes and St. Lawrence Seaway. In August 2004, the Algosar was sold to Genesis Worldwide Shipping & Trading in Apapa, Nigeria and renamed Genesis Explorer. Her registry was changed to Moroni, Comoros. Departed Quebec City in early January 2005 with a load of tallow for Africa. Sold for scrap in April 2011 and the name was shortened to Explorer. Possibly scrapped in Nigeria. 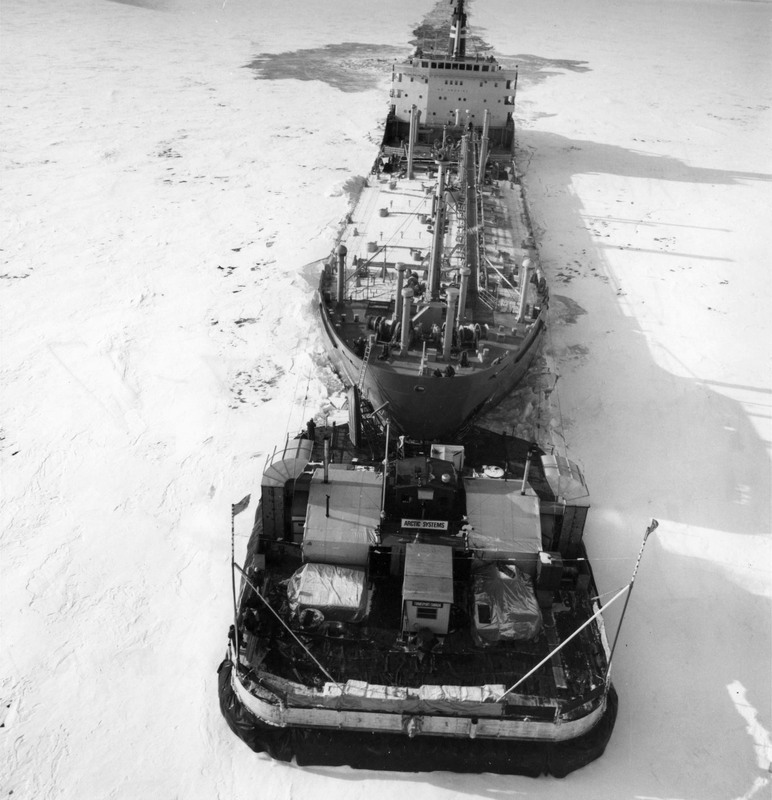 Testing a ice breaking hover craft attached to the bow, April 27, 1977. Entering Lock 2 on the Welland Canal in 1996.